Samples: Chargeable on application only. Designed exclusively by Michael Angove for Artisans of Devizes, the Living Wall ceramic tiles collection takes inspiration from British hedgerows, Mediterranean gardens and jungle leaves. 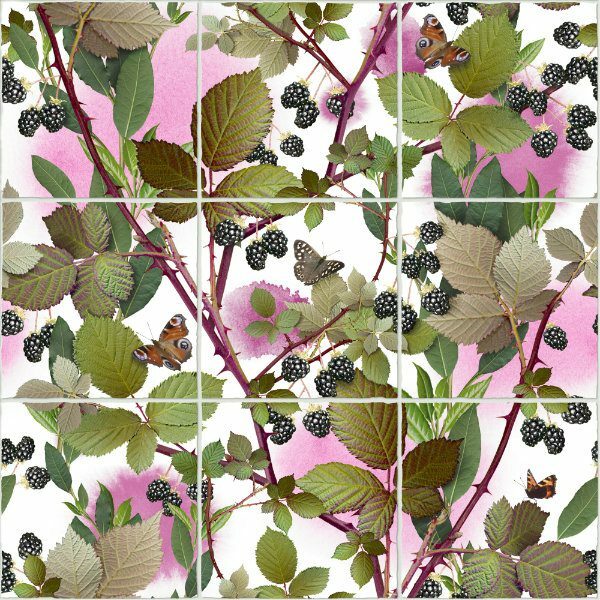 With an exquisite range of repeating patterns, these tiles become a rich wall of fruit, delicate flowers and dancing butterflies. The Living Wall collection brings a whole new dimension and charisma to our repertoire.